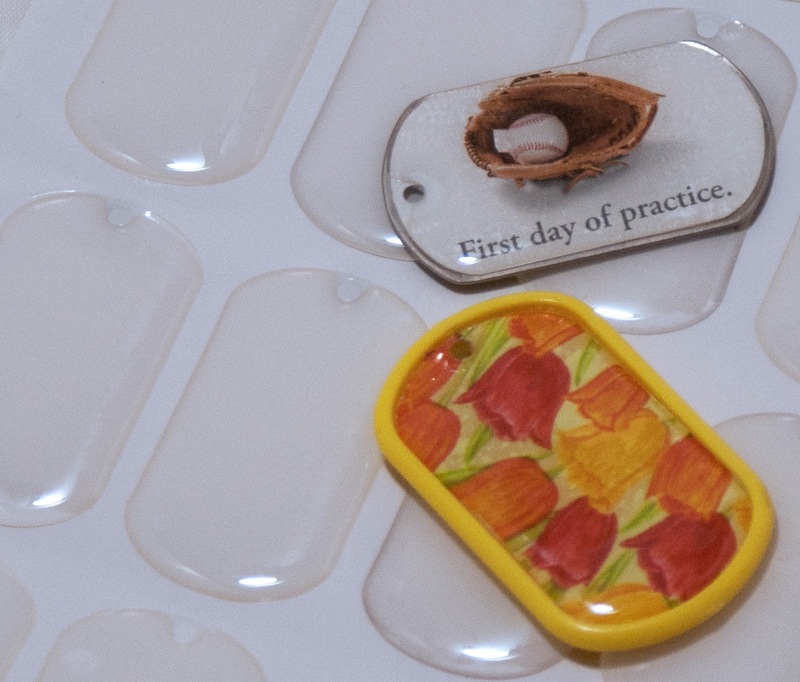 Our same great quality, clear and transparent dog tag shaped resin drops with adhesive backing sized to fit perfectly with our MommaOh DogTag punch but now with pre-made holes! These fit both our stainless steel military dog tags and our Alta-Cap plastic dog tags! Click here and try them for yourself!